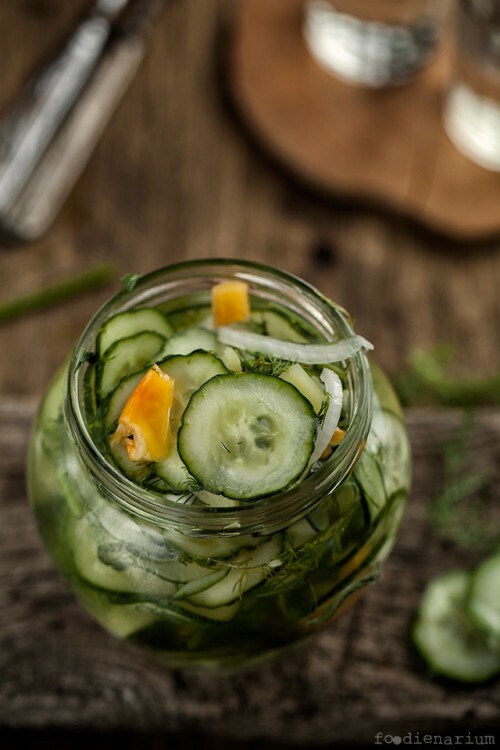 After a short absence I’d like to share a wonderful recipe of pickled cucumbers. They are a great snack for any table, so be sure to try it. 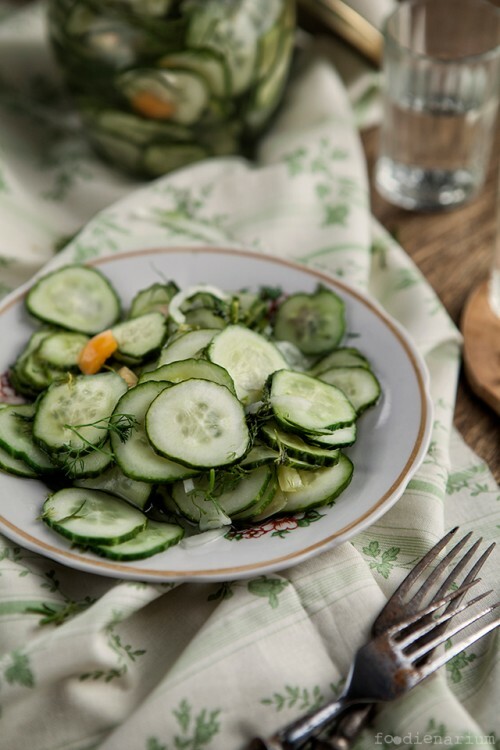 Certainly it’s better to use seasonal cucumbers, but at other times it is possible to find decent ingredients. Preparing all is very simple, you just need a couple days to leave the cucumbers in the fridge. First of all, cut the cucumbers and onions into thin slices with a food processor. Pepper just should be finely cut. Mix all the vegetables and salt in a large bowl, cover with foil and leave to stand for 1 hour at room temperature. Drain the liquid a little. In a small pan, heat the vinegar, water and sugar. Sir until the sugar dissolves and immediately pour hot liquid into the cucumbers. Tear dill and add to the bowl. When everything cools to room temperature, cover with foil or a lid and put in the refrigerator for 2 days. Cucumbers will last for a couple of weeks in the fridge. They are great as a snack on a large table, and “with vodka.” Depending on your taste, you can add some bitter pepper or change the proportion of vinegar and sugar.